It is easy to understand the allure of attractive metal roofs. They often last a half-century or more. Aesthetically, they convey value and even elegance because of their clean lines. Metal roofs offer numerous advantages. They are durable, lightweight, wind resistant, environmentally friendly and stylish. It's not surprising the market share of metal roofs has quadrupled over the past decade. Metal roofs last a long time, and often with minimal maintenance. Periodic roof inspections provide timely alerts when repairs are necessary. When the need for a significant repair arises, it is often because of one of the following. Metal roofs are sometimes vulnerable to leaks along seams and where protrusions occur, like skylights and vents. 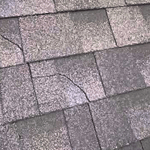 Leaks sometimes develop in the valleys and along the ridges where different planes of the roof meet. For example, improperly designed end enclosures that may leak. Leading to gutters overflow. Water also migrates underneath where it meets ridge vents or wall masonry. 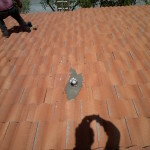 Early detection of roof leaks may limit cost repair costs to as little as several hundred dollars. The omission of required sealants at roof penetrations and joints. Failure to install tape sealant under screw heads. Failure to add an extra sealant strip at the eve connections and where panels meet. The misapplication or omission of required sealants along longitudinal seams. Roof inspectors use a special tool checking the sealant. The panel may be removed to check. New sealant applied. The panel reinstalled if missing sealant is detected. In this case, a more complicated repair increases labor costs. The cost is about $40-50 per hour. Steeply pitched metal roof repair cost more. Instead of a full roof replacement, herewith remedies for common problems in the metal roofs. Application of an approved metal coating increase their life span. Typically at a cost of approximately $1,500 to $2,500. Thorough surface preparation is vital. Including the removal of all loose paint, rust, dirt and other contaminants. Contractors typically use grinders, sanders and wire brushes to thoroughly clean the surface. High-pressure water blasting is an alternative when surface damage is not too pronounced. For a manufacturer’s warranty to be valid, the special coating must be applied to an approved thickness. Over time, caulk and sealants may shrink or get hard and brittle, allowing for unwanted moisture penetration. 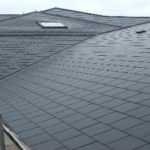 Newer formulations of metal roof caulk better maintain their elasticity. Special rubberized tapes can be used to complete some repairs. For example, EternaBond is a four-inch-wide tape featuring embedded primer and sealant. When properly applied over a clean, dry surface the rugged micro-sealant compound will eliminate leaks. At seams and where cracks or splits appear. 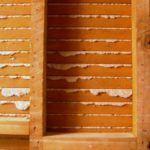 sufficient number of fasteners and the proper use of sealants are critical for long-term moisture resistance. Leaks often occur where fasteners are missing or corroded. The cost for fastener repairs consists primarily of labor A expense. Often calculated at about $40-60 per hour. An inadequate application of sealant around fastener heads is another common problem. The solution is to caulk all exposed fasteners with a proper long-life sealant. 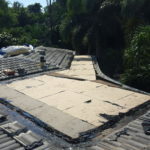 When entire panels or sections require replacement, costs escalate. Metal roof panels run $2-3 per square foot for thinner gauge steel to $3-5 per square foot for higher grades of steel. Zinc alloys and copper materials are the most expensive of all, at $10-15 per square foot. Partial replacements can easily run into the thousands of dollars. In average the cost for metal repair is $850.00 USD. Although a metal roof may cost more upfront than many other roof systems, its excellent appearance and long life usually make the investment more than worthwhile. A properly installed metal roof will last for decades. Protect your investment by scheduling periodic inspections. Prompt repair is far less expensive than a delayed one.